Rental property flooring takes lots of abuse. Tenants really wear out the floors. The biggest reason is due to when they move their furniture and rest of their belongings in and out of the house. The materials that you use in rental properties need to be durable. 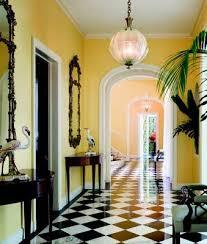 While the flooring does need to look good, the main goal is for it to last as long as possible. It is a waste of time and money to constantly be replacing the materials in your rental. 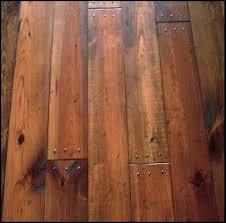 As a landlord, your best option is to choose something extremely durable, that will not scratch or stain easily. If you were choosing materials for your own home, you may want the prettiest, and most expensive material. 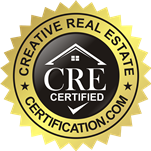 However, as an investment property owner, your material choices need to appeal to everyone. You also need to base your choices around the fact that the flooring material is going to get messed up. Your best bet is to stick with neutral materials. Cost should also play a large factor here. Here are a couple of different flooring materials so that you can make a sound decision when choosing your new flooring material. Carpet: a great insulator, and it can help cut down on energy bills; it also reduces noise. Some drawbacks are that it stains, is hard to clean, and traps odors and allergens. It is best suited for bedrooms or second floors. Avoid putting this material in the basement, kitchen, bathroom, entryway, hallway, and the living room. Tile: is very easy to clean, durable, water resistant, and available in every different price range. Unfortunately, it is a poor insulator, the tiles can crack or pop up, grout needs to be cleaned often, it may need to be sealed or polished, and it takes a lot of skill to install. Best suited for the bathroom, kitchen, basement, living room, and humid climates. Bad for using throughout the home if you live in a colder climate, as the tiles are cold; tile is not usually seen in bedrooms either. Hardwood/Engineered: these are great because they can last a lifetime, real hardwood is able to be refinished, engineered hardware does not react to moisture changes, and they are both very easy to clean. The downsides are that they are expensive, take skill to install, the engineered hardware cannot be refinished, and the real hardwood scratches and dents easily. They are also susceptible to water damage, and sunlight can change the finish. This material is best for living rooms, dining rooms, offices, bedrooms, and moderate to warm climate. Avoid installing in bathrooms, or kitchens and basements. Laminate: great for those on a budget, easier to install than hardwood, and resistant to scratches. Unfortunately, it cannot be re-finished, they can chip, and have a shorter lifespan than real hardwood. They also do not add as much value as real hardwood does. 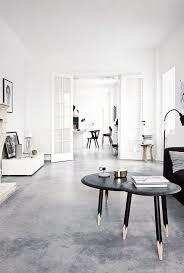 These floors are great for living rooms, dining rooms, the office, and bedrooms. Avoid putting them in kitchens and basements or bathrooms. Vinyl: this material is inexpensive, easy to maintain and clean, easy to install, and are water resistant. The bad news is that they can rip, and are susceptible to mold and mildew. Great for kitchens and bathrooms. Cork: cork is an eco-friendly option, it is easy to install, a great alternative to real hardwood, and reduces noise volume. However, they are not very durable, are highly susceptible to water damage, and have to be sealed. 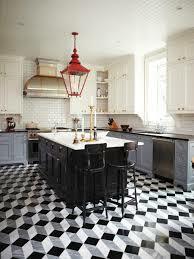 These floors work great in the kitchen. Avoid installing them in a high traffic area, and in rooms with heavy furniture. Linoleum: another eco-friendly option that is also affordable, cleaned easily, and easily installed. The bad news is that they are prone to dents and tears. Use in the kitchen or in the dining room, and avoid using them in the bedroom and the living room. 2 Comments on "A List of The Many Things You Should Consider When Installing New Flooring Inside Your Rental Property"
Please, please, use laminate flooring in your rental. You’ll thank me later. After some carpet and hardwood mishaps, I decided to go the engineered flooring route, and am so glad I did. Haven’t had to replace a floor in 5 years and counting. So true. Engineered flooring has gotten better too, many of them look just like the real thing, but without the risk of damage. If I owned property, I’d choose laminate over the real deal every time.